The one where Keith takes a break from virtual reality and catching Pokemons to write up his thoughts on some new computers. Even though gadgets like virtual reality and augmented reality are the “it things” in the technology space, there are still systems coming out that let you do normal things like computing, web browsing and movie watching / book reading. Here’s a quick roundup of three notebook and desktop systems (using those terms loosely) that offer some unique features and usage scenarios aimed at the business and consumer markets. The newest version of this tiny PC includes extra features that expand its abilities. First, a longer docking station was added, which lets the user connect a 2.5-inch hard disk drive (HDD) to give them additional storage options (going past the 32GB of internal storage, a lot of which is taken up by the OS). While the unit still connects to a monitor via HDMI cable, the new docking station now includes a VGA port for connecting to older monitors. Third, an audio port was added which lets users connect either headphones or an external speaker system. Fourth, the docking station includes an Ethernet port, on the off chance you want to connect a wired Ethernet cable to the system. The additions to the system give users flexibility on how they use the system, making it enticing to create a new PC for other family members (such as kids or parents who want just the basics of email, Web, etc. ), and being able to rejuvenate older monitors and wired Ethernet connections. Another interesting feature is the ability to connect an iPad to the Kangaroo unit and then run Windows 10 on the display of the iPad (in essence, you’re using the iPad as a monitor). If you already have a monitor connected, the iPad then becomes the second monitor, extending your screen real estate. New in this version is an app that lets you do this with an iPhone (through the $5 OSLinx app, the iPad version is free), although the screen real estate is much smaller with an iPhone. The specs of the system are the same from the earlier model; Windows 10 64-bit OS, 2GB of RAM, a 1.44 GHz Intel Atom CPU, Intel Gen8 graphics card and 802.11ac Wi-Fi, microSD card slot and a fingerprint reader. On the downside, these specs still make this a basic system for Windows 10 usage. On several occasions, the system ran slow, especially during software installation or operating system updates. This is a Windows 10 tablet, but when you add things like the attachable keyboard and the X1 Productivity Module (which adds monitor capability and an extra USB port), it becomes more like a notebook. 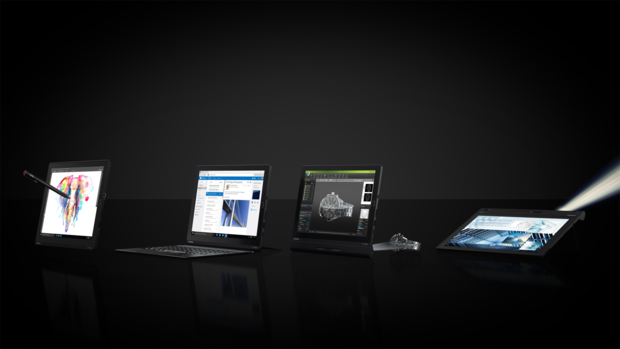 This version is part of the X1 family from Lenovo, which also includes the Carbon (ultralight notebook), the X1 Yoga (notebook with flexible hinge options), and X1 ThinkCentre (all-in-one PC/monitor). They’re all super-thin and super-stylish, and the ThinkPad X1 Tablet is no different. The modular nature of the system makes it cool for different situations. Want to use it as a tablet? Detach the keyboard and bring along the pen stylus. Want to just watch stuff on a table? Deploy the kickstand! Want to get some work done? Put the keyboard on and use the productivity module to attach to a larger monitor. 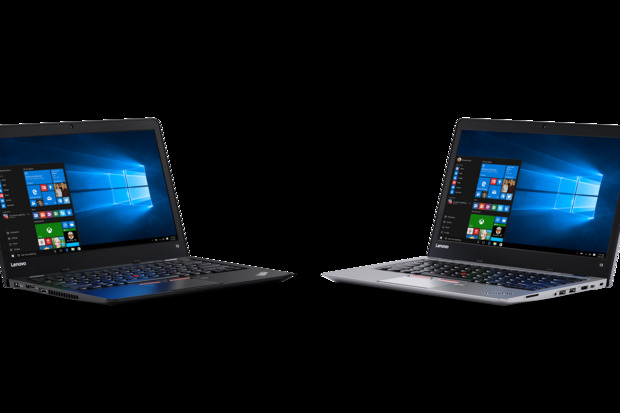 This is a more traditional notebook - it’s aimed at professionals and students who want a decent notebook but with some additional rugged features (the notebook has passed at least 12 military specifications, Lenovo says). The light notebook (it weighs 3.17 pounds and measures only 0.79-inches thin) includes Intel 6th-generation Core i processors (our unit had an i3, but you can configure it up to an i5 if you want), an Intel Integrated Graphics card, 720p web camera, and up to 16GB of DDR4 memory. Storage options start at 128GB, but to up to a 512GB hard drive or 256GB solid-state drive. The notebook has a very nice 13.3-inch display, and offers three USB 3.0 drives and one USB-C drive, in addition to a media card reader, HDMI output and the combined headphone/microphone port that Lenovo is famous for (as well as the red ThinkPad nub/mouse navigation button in the middle of the keyboard). 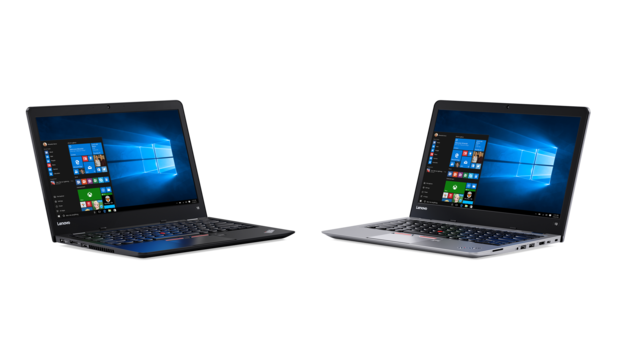 In our time with the notebook, it wasn’t as popular with our helpers as the ThinkPad X1 tablet was, but it was more powerful and faster than the Kangaroo Desktop system.